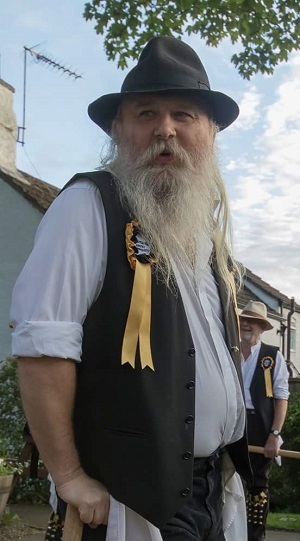 I have been bagman, squire and foreman for Anstey Morrismen, and foreman for Sergeant Musgraves Dance. I also occasionally dance with The Bunnies From Hell. My first side though was, and still is The Hinckley Plough Bullockers. I would encourage anyone to have a go at Morris dancing. It is a great way to get some exercise and meet lots of very interesting people from all walks of life. 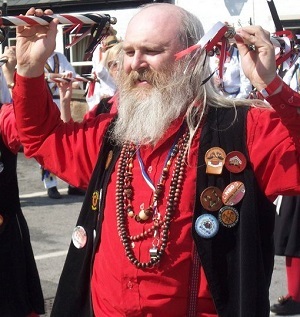 There are numerous traditional morris dances, some of which may go back hundreds of years. New dances in the style are also being composed by various people. I have even put together a few myself. See my dances page for more details. If you don't want the commitment of joining a side and just want to have a go, why not organise a workshop for a group of friends or work colleagues? If you want a team building exercise with a difference, or help in putting a display on for your local village fete, do get in touch. Everards Brewery Anstey Morrismen meet for practice on a Wednesday evening every week from October until around the end of April (except over Christmas) at The Church Rooms in Anstey. 8-10pm then afterwards entire to The Old Hare and Hounds. Over the summer we dance out at a different pub every Wednesday, and also visit the occasional dance weekend, festivals and other events. 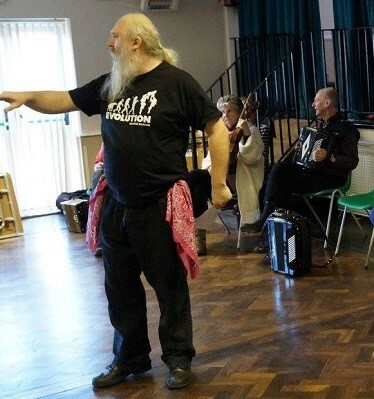 Sergeant Musgraves Dance are a mixed Northwest Morris side based in Nottingham and Derby. We meet to practice at the scout hut on Hanley avenue in Bramcote. I was foreman (dance teacher and choreographer) for many years until recently moving away from the area. I hope to still be able to join the side to dance occasionally. The Bunnies From Hell are easily recognisable from the attire of the dancers which is basically whatever each individual dancer chooses, but is limited in colour to black, grey, and of course, pink. 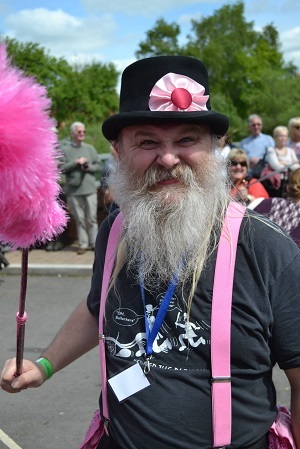 The first Morris side I danced with was The Hinckley Plough Bullockers. The side only dances out once a year on the Saturday nearest to Plough Monday. The style of dancing has been described as 'Leicestershire Molly' as much of the style has been taken from the traditional Molly dances of East Anglia. 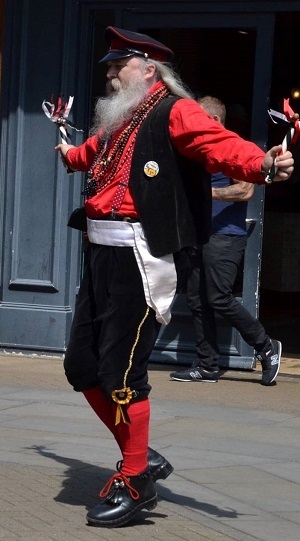 Since becoming involved in morris dancing I have put together a number of new and 'rediscovered' morris dances. 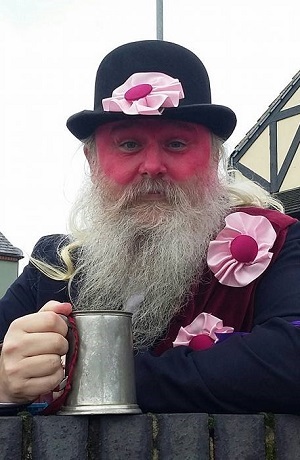 I have been foreman (dance teacher and choreographer) for Sergeant Musgraves Dance and Anstey Morrismen and have taught dances for The Bunnies From Hell. I have led workshops at Chippenham Folk Festival, Folk East Festival, Barefoot Festival and Nottingham World Music Festival. I also ran classes in morris and folk dancing at Deda dance studios in Derby. I play percussion and tin whistle with The Bang On The Wall Band. I also play a little on the Anglo concertina. I enjoy singing traditional and not so traditional folk songs. I started, and still help to run The Poppy Folk Club in the Lady Bay Area of West Bridgford, Nottingham. 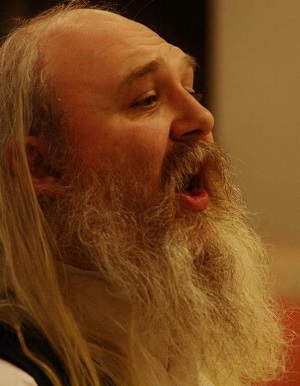 I also attend a number of music sessions and other folk clubs, singarounds, etc.